I'm pleased to report that Netscape has now officially merged with America Online. Our shareholders approved the transaction this morning, and the final procedural steps were completed by AOL shortly thereafter. While this milestone marks the threshold to a promising new future it also is an occasion for me to reflect on our extraordinary history. By launching Netscape just five short years ago in April 1994, Jim Clark and Marc Andreessen unleashed an explosive wave of innovation and growth that created another Silicon Valley legend. 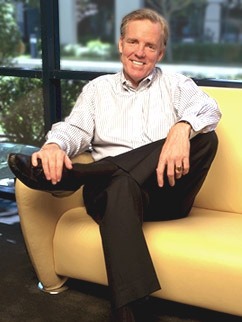 Netscape has played a key role in changing the Internet and literally changing the world. This is something that we will all share together forever."